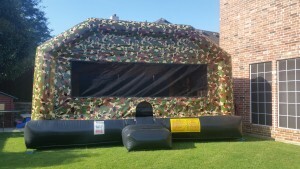 This bounce house is big and covered in a camouflage pattern. It is the perfect way to kickoff hunting season or celebrate the hunter in your family. 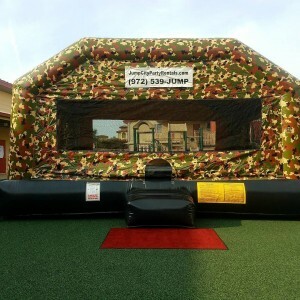 The Big Camouflage Bounce House is also a great way to welcome your army, navy, air force, or marine solder back home and can hold a bunch of kids or up to 6 adults. 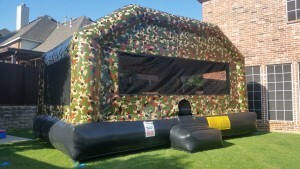 A favorite of military members, hunters, boy scouts, and girl scouts; this bounce house might be camouflage, but it won’t disguise all of the fun it provides.